Traveling as a family can not only be a wonderful learning experience, but a great way to reconnect with your kids by spending quality time together and even a quick trip to a nearby destination provides the opportunity for many memory making moments. 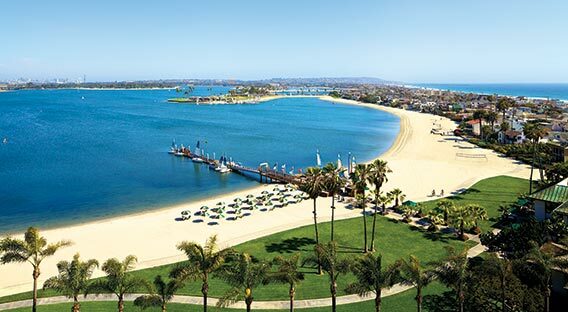 We recently planned a long weekend in San Diego (specifically Mission Bay and Beaches – a water wonderland located just minutes from downtown). It doesn’t get much easier than loading everyone into the minivan for a road trip that literally lasts less than an hour. Home to scores of museums and art galleries, restaurants, retail, world-class beaches, historic landmarks and world-renowned attractions, San Diego offers everything from an action-packed “stay-cation” to a leisurely take-each-day-at-your-own-pace respite from the workaday world. With a 10 and 9-year-old in tow and only three days to pack in the fun, we decided to forgo arts and culture and focus instead on relaxation and recreation. We were hoping it wasn’t too tall an order to arrange for accommodation that was on the water, amenity-rich with family-friendly recreational opportunities (boat rental and a – preferably heated – swimming pool were on our wish list) and with luck, an easy strolling distance to Belmont Park – the iconic amusement park and entertainment center (more on that later). The Catamaran Resort Hotel (www.catamaranresort.com) delivered on all counts. 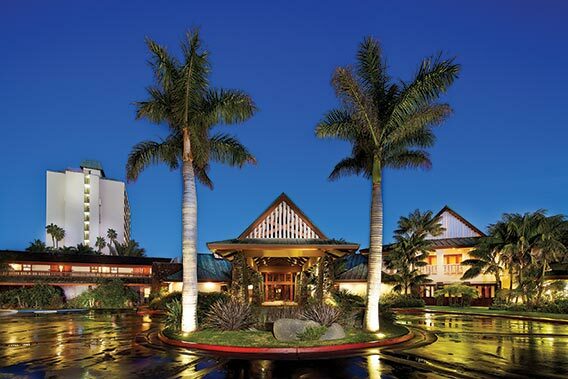 The Catamaran Resort and Hotel is a tropical hideaway that offers up an ambiance and experience that feels as though you’re on a Hawaiian island vacation sans the five-hour flight. Cool ocean breezes, warm, friendly hospitality, sunny days, starlit nights, lush, manicured grounds (think tiki torches, waterfalls and koi ponds), majestic palms swaying in the afternoon breeze and exotic birds that strike up conversation with passerby – these are among the things guests can expect here. The Catamaran’s tropical vibe artfully blends the Aloha spirit where each of the property’s 310 rooms and suites feature a private balcony or patio with breathtaking views of Mission Bay. Our accommodation – a bayfront room – was a spacious 382 square feet and featured a plush king-sized bed, sleeper sofa for the kiddos, a mini refrigerator, and best of all … we were steps from the sand with the beach and boardwalk as our backyard. 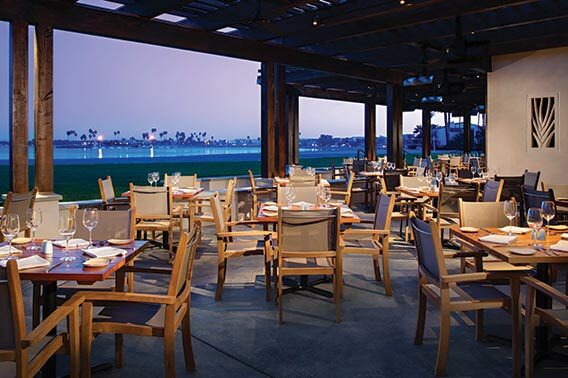 The resort’s signature restaurant, Oceana Coastal Kitchen features chef-driven, California cuisine in an ambiance defined by sweeping panoramic waterfront views (its adjacent lounge – characterized by flickering flames from tiki touchers and lava rock fire pits – showcases the musical stylings of local talent). Ranging from casual and family-friendly to upscale, the space includes several distinct ocean-inspired dining areas (the quartz-topped cold bar is embedded with mother of pearl and sea glass; the focal point of the main dining room is an impressive 800-gallon aquarium filled with fluorescent tropical jellyfish. After checking in, our first stop was a family-friendly food-fest featuring a starter of sweet fennel sausage flatbread followed by a cooked-to-perfection Harris Ranch filet mignon accompanied by au gratin potatoes and cumin roasted carrots for my husband and a melt-in-your-mouth charbroiled local Mahi Mahi paired with two of my favorite flavors: caramelized brussel sprouts and roasted garlic … and of course, a glass of wonderfully oaky Napa Valley cabernet (for the grown-ups). The kids opted for their go-to entrees – breaded chicken tenders and a house ground cheeseburger and fries. We spent the better part of the following morning and early afternoon on the water aboard a 20’ Hurricane Deckboat rented through Action Sport Rentals (https://actionsportrentals.com), San Diego’s premier land and water sports rental company with multiple locations, including the pier at the Catamaran Resort Hotel & Spa). 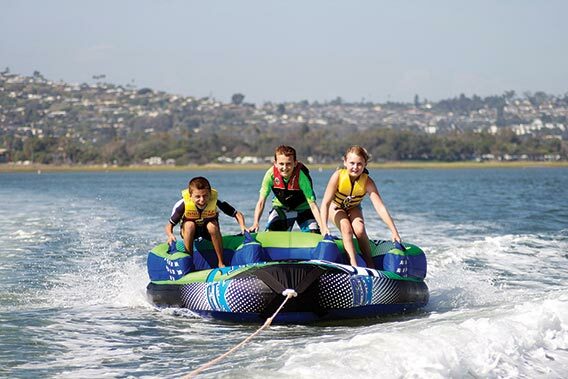 The wide-beamed vessel we chose was a super comfortable ride – while boaters stay within the bay, our experience alternated between a leisurely cruise in the channels and an exhilarating ride at speeds topping 50 mph. Then we were off for an afternoon of entertainment at Belmont Park, the iconic beachfront amusement center with games, indoor children’s play center and rides including the Giant Dipper (a restored wooden roller coaster originally built in 1925) the Beach Blaster (I took a pass on this one, but I’m told this is one of the park’s most popular rides for adrenaline junkies – easy to see why as the ride swings passengers 60 feet in the air while spinning 120 degrees). Our family opted for the decidedly “tamer” attractions – bumper cars, carousel, laser maze, rock climbing wall and zip line. 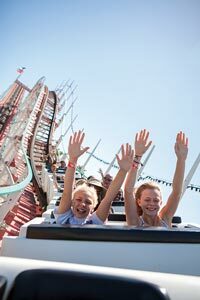 The Go San Diego Card (www.smartdestinations.com) attractions pass included entry into Belmont Park and unlimited rides (an all-inclusive pass allows you to choose from 40 San Diego attractions including the city’s top museums, tours and attractions for a flat fee that represents a savings of 55% off paying at the gate). Then it was time to re-fuel. San Diego has a huge variety of restaurants to choose from: Thai, Lebanese, Indian, Mexican, and even Eritrean (a country in the Horn of Africa). 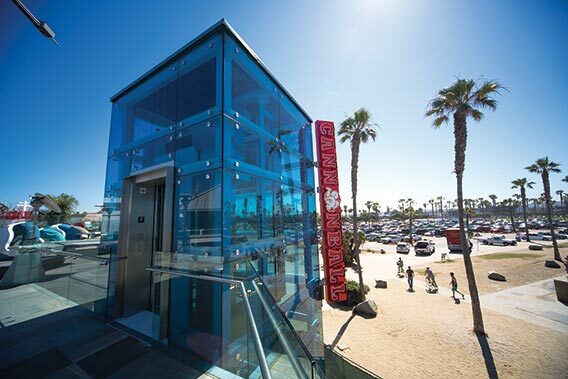 For our part, we went with “sushi with a splash” at Cannonball – an oceanfront rooftop restaurant located in Belmont Park with a second story view of Mission Beach. 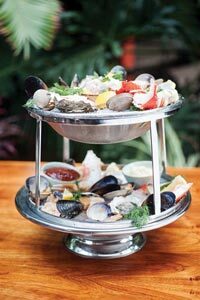 The menu here centers on seafood and California cuisine inspired by Pacific Rim influences (paired with beach craft cocktails). Besides the delicious nigiri sushi and inventive share plates (lobster spinach dip or edamame hummus with grilled pita), entree options ranged from a chicken katsu sandwich and classic cheeseburger to a Korean short rib sandwich and pork belly bao buns. © Copyright 2019 Newport Mesa Magazine.com. All Rights Reserved.